The study is not cause for alarm, but “it’s far from reassuring that BPA is safe” for women, said leading fertility doctor. The study was to be presented today at the group’s annual conference in Boston. Last month, ASRM and an obstetricians group urged more attention to environmental chemicals and their potential hazards for pregnant women. BPA, short for bisphenol-A, and certain other environmental chemicals can have very weak, hormone-like effects. Tests show BPA in nearly everyone’s urine, though the chemical has been removed from baby bottles and many reusable drink containers in recent years. The US federal Food and Drug Administration says BPA is safe as used now in other food containers. 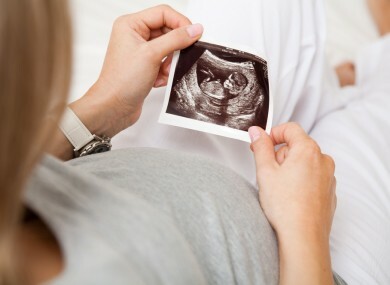 Researchers analysed blood samples from when the women were discovered to be pregnant and divided them into four groups based on BPA levels. Women in the top quarter had an 80 percent greater risk of miscarriage compared to those in the bottom group even though they were similar in age and other factors. However, because the study is relatively small, there was a big range of possible risk — from only slightly elevated to as much as ten times higher. “It may be that women with higher BPA levels do have other risk factors” for miscarriage that might be amplified by BPA, Lathi said. The study is not cause for alarm, but “it’s far from reassuring that BPA is safe” for such women, she said. To minimise BPA exposure, avoid cooking or warming food in plastic because heat helps the chemical leak out, she said. Don’t leave water bottles in the sun, limit use of canned foods and avoid handling cash register receipts, which often are coated with resins that contain BPA. “It’s impossible to avoid it completely,” Lathi said. Email “Study ties chemical to possible miscarriage risk ”. Feedback on “Study ties chemical to possible miscarriage risk ”.